Take a look at the stadiums that are used to host matches in The Atlantic Cup. The Algarve Stadium ‘Estádio Algarve’ with its daring architecture has already made it a benchmark in contemporary Portuguese architecture, and it is without a doubt one of the most functional and versatile of the 10 stadiums that form part of the final phase for UEFA EURO 2004. 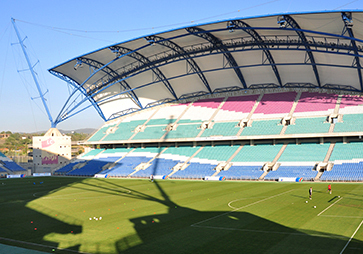 The stadium, entrusted with the responsibility of hosting EURO 2004 and other prestige and large-scale events, will be a venue for The Atlantic Cup 2019. 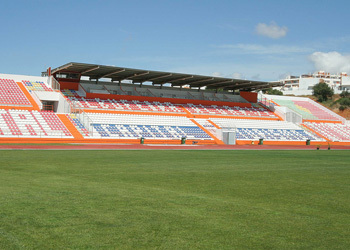 The Estádio Municipal da Albufeira is located in the capital of the Algarve, Albufeira. The Estádio da Nora is the home of FC Ferreiras, a third tier club based in Ferreiras. With a capacity of 2,000, it has been used as a secondary venue for the The Atlantic Cup in previous years.